Really Reasonable Ribbon Blog: It's Graduation Time! I'm still in shock that we are already in the month of June! How did that happen? This is a busy month for so many of us. One of the main events is graduation. Watching our kids march up (or down) the aisle to receive a hard earned diploma has to be one of the high points of being a parent! 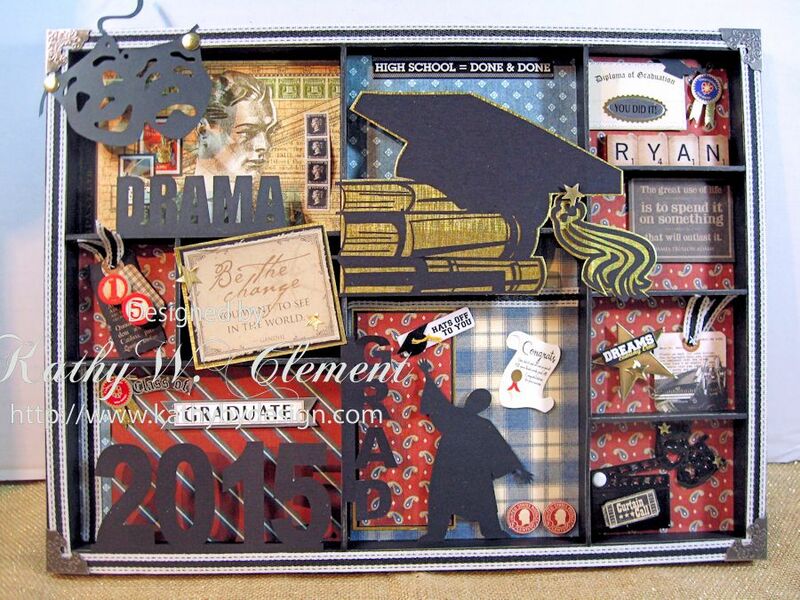 I was recently asked to create an altered tray with a graduation theme for a young man who minored in drama. I found a great way to cover the face of this altered tray...using ribbon, of course! OK...I have a confession to make. I have a new ribbon crush. This incredibly stylish Canvas Color Band Ribbon comes in a rainbow of colors, is a dream to work with and makes wonderful bows. It also is just the perfect width to use on the face of an altered tray! How handy is that? No messy ink or paint necessary! Just a little Scor-Tape and Black Canvas Color Band Ribbon, and I had the face of this tray looking neat and trim! 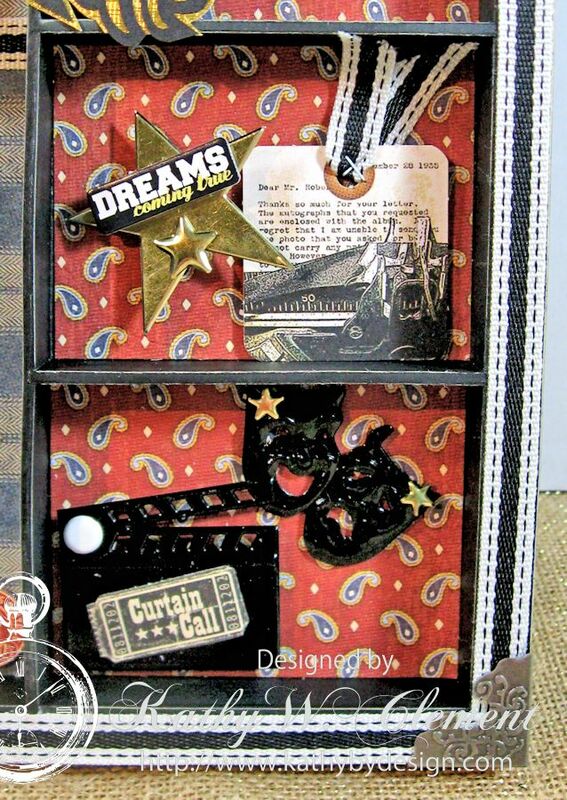 The papers used in the tray are Graphic 45 A Proper Gentleman and the matted quotes are from Kraft Reflections, also from G45. I also ran the ribbon through my tags, and stapled it in place with my tiny staple gun. 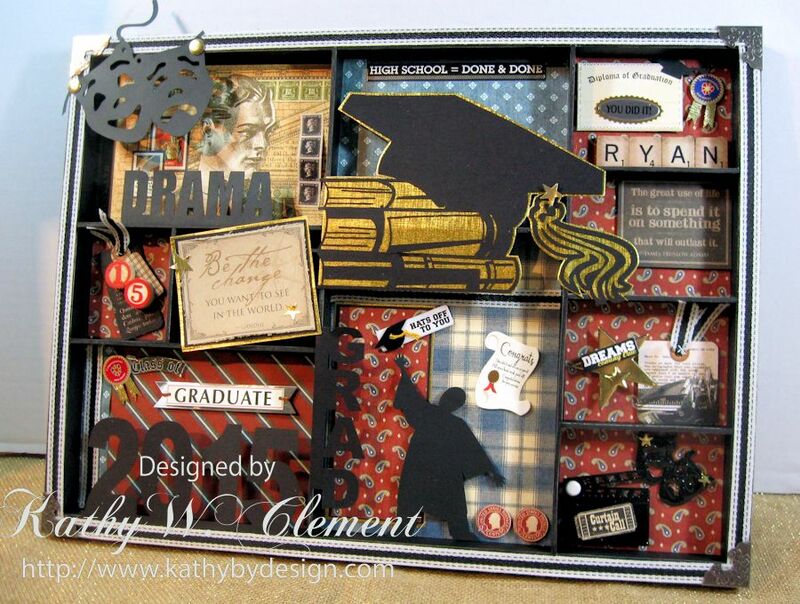 Congrats to all the grads out there...and mom and/or dad...give yourself a pat on the back for job well done!